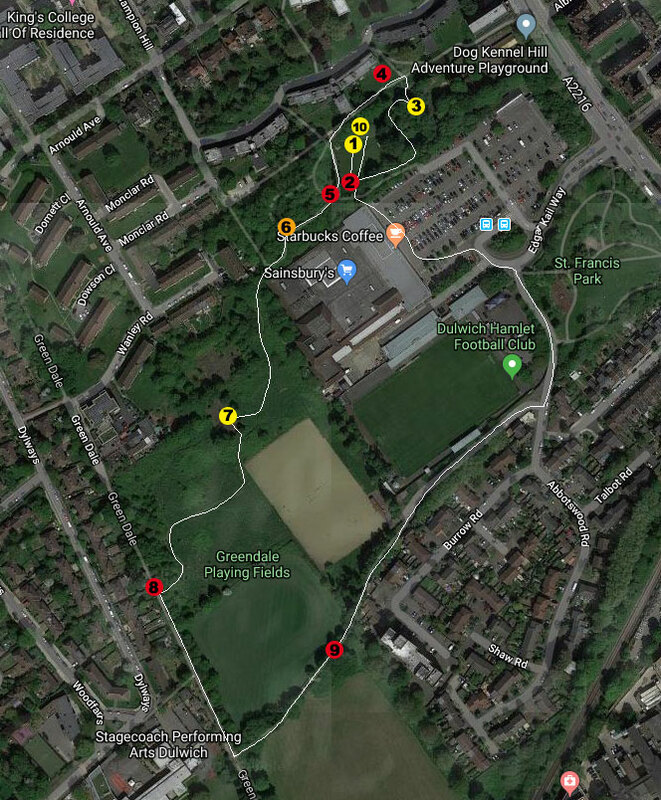 Over 40 people attended our bat walk this morning in DKH Open Space and Green Dale Fields. It was led by Jo Ferguson from the Bat Conservation Trust and she bought Hannah and Becky along from the London Bat Group. 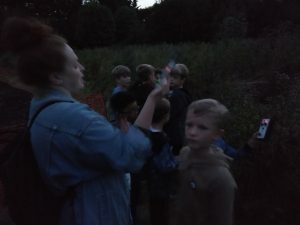 We had loads of bat detectors to hand out so that everyone could have the chance to hear them echo-locating. It was a strangely chilly night – the coldest night in months after the summer 2018 heatwave, so we were a bit worried no bats would show, but Hannah reassured us that as it had rained the night before, the bats would be hungry and come out to feed. We met at 7pm and it took a while for it to get dark but as soon as dusk descended, the bats came out! We heard and saw common pipstrelles on Green Dale Fields flying over the large open meadow area and also in DKH Open Space. They came out just in time as people were beginning to get a bit doubtful that we would see any at all! Luckily all the kids got to hear and see bats flying around before they had to go home to bed. We learnt that street lights are not liked by bats.. which was a surprise as we often see bats in DKH Open Space flying near the lights. The reason for this is because we have pipistrelle bats mainly, which fly quite fast. Slow flying bats are hunted easily by owls so they avoid light, where an owl could see them. Pipistrelles are fast enough to avoid owls and so they are not afraid of being conspicuous in lights. This is to their advantage as moths (ie food) are attracted to light. One local resident turned up in a fantastic bat outfit! The route we followed is here as a map – the red dots show bat hotspots where we almost always find bats. It’s worth keeping an eye out for them as you often see them flitting around and don’t always need a bat detector to find them (though it is more fun hearing them). You can even build your own bat detector – someone brought along their home-made one and it worked pretty well.